Manufacturer & supplier of ASTM F3125 heavy hex bolts, ASTM F3125 bolts, Grade A325 nuts in India. 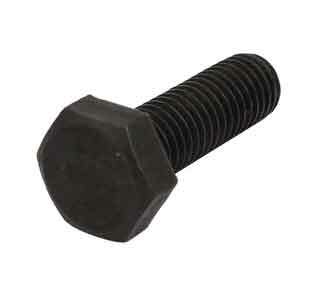 Exporter of Grade A325 threaded rod, ASTM A325 structural bolts, A325 bolt grade 10.9. A325 bolt grade 8.8 suppliers in Mumbai. High quality ASTM A490 bolts, ASTM F3125 type 1 Hex head bolts, ASTM F3125 Grade A325 type 1, ASTM F3125 Grade A325 type 3 Hex Bolts manufacturer in India. From standard ASTM A325 heavy hex structural bolts and ASTM F3125 Grade A490 Fasteners to ASTM A325 heavy hex bolts and ASTM A325 stud bolt, everything in Grade A325 Bolt. Check A325 bolt grade 8, ASME B18.2.1 ASTM A490 type 3 Bolts, ASTM F3125 grade f1852 Fasteners, ASTM A490 type 1 Bolt, ASTM F3125 Grade A325 bolt and ASTM A325 bolt price in India. ASTM A325 includes high strength structural bolts which are used to connect structural steel. A325 fasteners comes with heavy hex head, full body diameter and are basically short in overall length as their main function is to connect from steel to steel. A325 is different from other ASTM grades, they are used in chemical, mechanical requirements and also applicable in configuration. Type 1 ASTM A325 heavy hex structural bolts– Medium carbon, carbon boron, or medium carbon alloy steel which undergoes a heat treating operation to achieve the desired mechanical properties. Type 1 is most commonly specified and is likely most readily available in the marketplace. The head is a heavy hex pattern and these bolts will have a set thread length based on the diameter required. Type 2 ASTM A325 heavy hex structural bolts – This type was withdrawn in November of 1991. Type 3 ASTM A325 heavy hex structural bolts – Weathering steel, quenched and tempered. Although the strength is the same as Type 1, Type 3 bolts are made from weathering steel which contains copper, chromium and nickel. This forms an oxide coating which protects the base material from corroding. 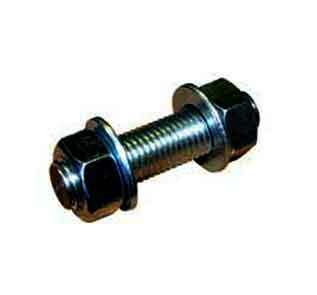 A325T heavy hex structural bolts – Fully threaded A325. 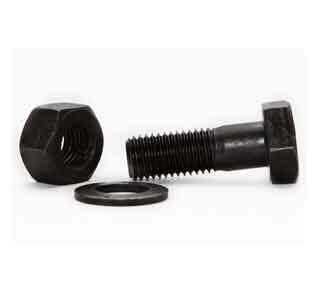 A325T bolts are available up to four times the diameter in length. A325s longer that this will need to be specially made per ASTM F3125 Grade A325. A325M heavy hex structural bolts – Metric sized A325s.